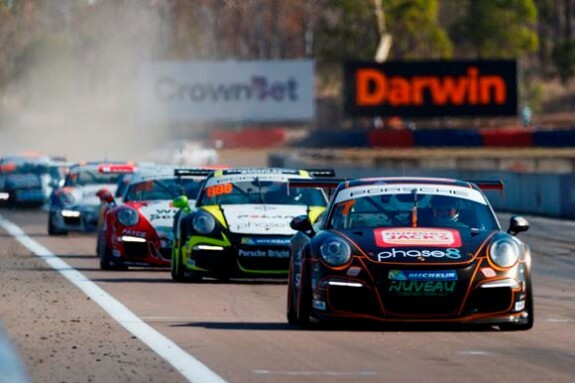 An expanded Endurance Cup is one of several highlights of the 2018 Porsche Wilson Security Carrera Cup Australia race calendar, announced today, which includes new formats, a new circuit and the return of Porsche Carrera Cup Asia. The Endurance Cup debuted in 2017, featuring three long distance races across the final three events – Sandown, Bathurst and Gold Coast. A change in race formats across several rounds has ensured more racing laps and an increased number of long distance races, expanding the popular Endurance Cup from three races in 2017 to six 45-minute races in 2018. 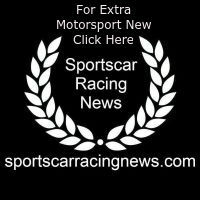 Bathurst and Gold Coast will each feature one Endurance Cup race, as will Hidden Valley Raceway, while Phillip Island will hold two Endurance Cup races – the Victorian circuit will feature two 45-minute single driver races, replacing the series’ traditional two-driver Pro-Am format, which will not feature in 2018. An additional Endurance Cup race will be held at Carrera Cup’s maiden visit to South Australia’s new The Bend Motorsport Park. The 2018 season will also see the return of Porsche Carrera Cup Asia to Australian shores; the Asian series will once again join Carrera Cup Australia at Sydney Motorsport Park with a similar blend of separate and joint races. For the first time since 2012, Carrera Cup will race exclusively as a support to Formula 1 and the Supercars Championship, book-ending its 2018 season with Australian motorsport’s four highlight events – Adelaide 500, Formula 1 Australian Grand Prix, Bathurst 1000 and Gold Coast 600. Porsche Cars Australia’s Director of Marketing & Motorsport, Toni Andreevski, believes next year’s Carrera Cup calendar adds to the already highly anticipated 2018 season, which has attracted a fully subscribed field of 26 entries and a Title Partnership with Wilson Security. “Carrera Cup is going from strength to strength and the announcement of the 2018 race calendar certainly adds to the anticipation of the coming season,” said Andreevski. “We’re proud that we will not only have a fully subscribed field of Porsche 911 GT3 Cup cars on the grid in 2018, but that we will showcase our ‘sold out’ series in partnership with Wilson Security at some of the best motor racing events in the country. Before the 2018 Porsche Wilson Security Carrera Cup Australia season kicks off at the Adelaide 500 on March 01-04, the series will first visit Sydney Motorsport Park on January 24, at which time next year’s teams will take delivery and test their new 2018-spec Porsche 911 GT3 Cup cars for the first time.